Individuals who are entering drug addiction rehabilitation center programs are taking a step in the right direction. Keeping a few points in mind will make sure that their time spent in the therapy session will be worthwhile. While it can be rather scary to enter a program like this, taking the time to prepare can really help a person to get ready for what might be ahead. Every plan is different, but everyone can get more out of their care if they prepare for it beforehand. 1) Get some rest before entering the rehab facility. This might seem counterproductive since many people rest while they’re in these programs, but the initial detox period can be rather physically taxing so its best to rest up before hand. The first few days of any rehab program are the toughest, which is why this step is seen as necessary. 2) Most drug addiction programs give people a packing list when they get accepted. Patients should pack everything they need. Taking a few personal items along that remind people of happier times with friends and family can really boost one’s confidence. It might be best to bring something along like this as well. 3) Those entering a program should make sure that they know how long it will last and plan accordingly. 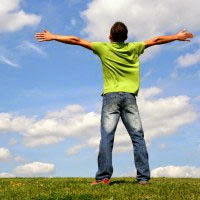 According to experts from the Your First Step organization, some addiction rehabilitation plans only last a few days. Most inpatient treatment plans last around 28 days, though some can end up taking around 90 or more. 4) Mental preparation might be the most important step of all. Worry and negativity can end up manifesting themselves physically, and cutting down on these is very important when it comes to making sure that the program is a success. Calling drug counselors before the program starts is a good way to get some support before hand. Some counselors are willing to talk to patients several times before the program actually starts, since this helps to ensure success. 5) Avoiding a last minute binge is sometimes very difficult. Many people see the day before the enrollment date as their last chance to indulge their habit, but this significantly increases the chance of an overdose. Since this also increases the amount of chemicals in the bloodstream it can also end up making a detox plan that much rougher, so preventing a binge is very important.